This suggestion is easier said than done, but simple insights can help you make educated food choices that make big impacts on our environment. When you shop with SPUD.ca, all of our products are sourced with sustainability in mind. 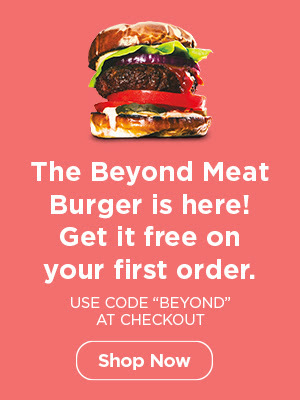 One of our most recent products we are hyped about is Beyond Meat patties! Not only are they extremely tasty and have all the same nutritional benefits of real meat, but this plant-based burger’s environmental footprint is much smaller than your regular burger. See all the reasons why we love it here and get your hands on some today! Michelle is SPUD's Marketing and Sustainability Coordinator. She believes a sustainable food system is the key to creating a environmentally-friendly and just world. You can often find her in the mountains biking, hiking or skiing.